This first floor Villa is located in the much sought after Willow Greens complex. The unique Villa features a split bedroom plan with 3 bedrooms and 2 baths. The open floor plan makes for easy entertaining with a living/dining room combo. Enjoy a cozy kitchen with newer stainless steel appliances, beautiful cabinets and a breakfast bar. Enjoy your morning coffee or evening beverage on your private, screened-in patio located just off of the living area with glass sliding doors. The oversized 1 car garages features an opener, additional storage space, and washer/dryer with easy in/out for groceries. Water Heater May 2017. A/C 2009. Average electric bill is $63 per month. Community amenities include a heated pool and Jacuzzi. No thru traffic/residents only. 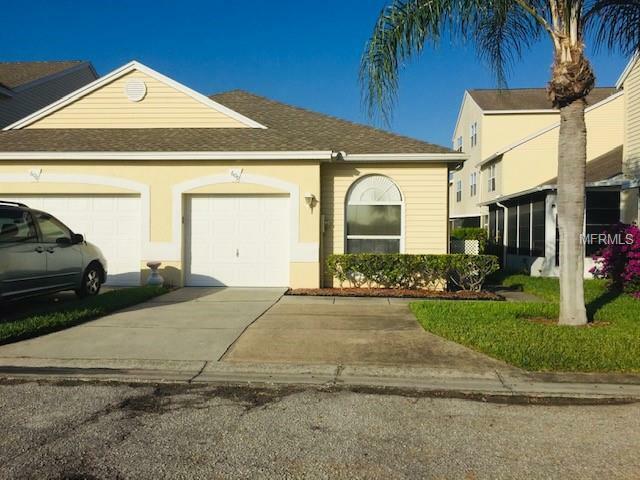 Willow Greens is a maintenance free community which is located close to shopping, restaurants, schools, banks and just minutes to the sandy Clearwater Beaches. AGENT BONUS of $500 WITH AN ACCEPTED SIGNED CONTRACT IN DECEMBER. Additional Lease Restrictions 3 Month Minimum. Listing provided courtesy of Cornwall Realty Group.